Congrats To Our Newest 52 Weeks/52 Winners Contest Winner Brad Lillard! OTB Vortex Green! 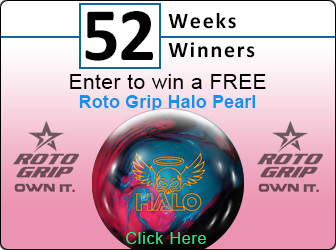 Brad won a brand new Vortex Green - bowlingball.com Exclusive bowling ball!